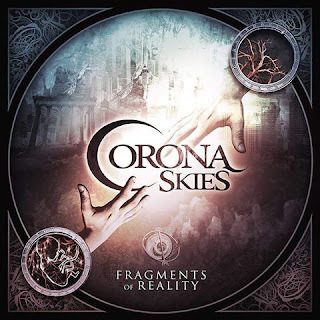 Biography: «Corona Skies, hailing from Finland, plays hard rockin’ melodic metal. This six-piece delivers a unique mix of smashing guitar riffs, hyper-skilled keyboard athleticism on rock solid rhythm section, completed with powerful multi-layered vocals. With the current line-up, the band has been around since 2009 and played dozens of shows in Finland. Since releasing a self-financed EP in 2011, the band’s songwriting and musicianship have evolved into a whole new level which can be heard on band’s debut album "Fragments of Reality". From ambient, atmospheric soundscapes to hard-shredding solos and huge orchestrations, the versatility of the album really emphasizes what this band is all about.